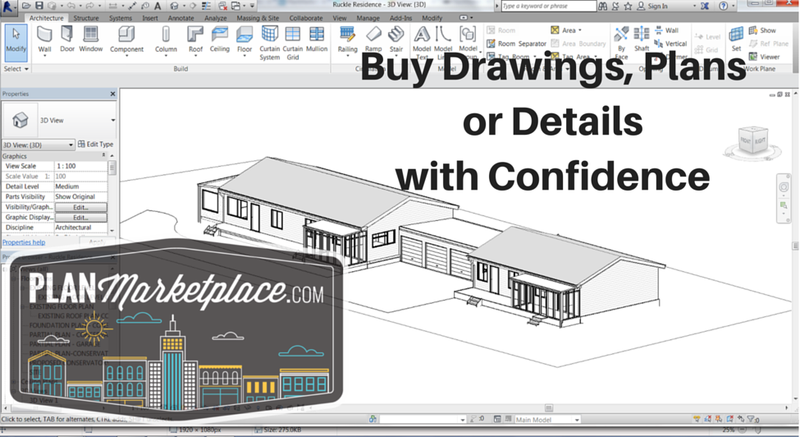 If you’re an Architect, Engineer or Designer, you’ve probably experienced the struggle of trying to find reputable and reliable plans or design elements. The niche as a whole is flooded with useless vectors, 3D models, and other “plans” that are at best a shot in the dark and most likely will get you nowhere. As Architects ourselves, for years we’ve longed for an easy way to search through hundreds of designs and compare categorized results within a single user-friendly database. If you’ve also been searching for such a comprehensive digital resource, you’ll be happy to know that PlanMarketplace is exactly what you’re looking for! As a designer, engineer or architect, you probably take a great deal of pride in your work, and much of it is creative and inspiring. Some of it, however, is dreary. You may not be full of enthusiasm when it comes to creating a simple retaining wall, fire extinguisher enclosure, parking lot details, etc. These are the cumbersome but necessary parts of the process that would be nicer to outsource. Why not browse through a wide selection of carefully curated details, and stand on the shoulders of another designer, rather than reinventing the wheel? PlanMarketplace is very meticulous in curating and assuring the quality of the files submitted to us. We even offer a clean-and-upload service to ensure that the details for sale on our site are top quality, and easy to use. You can buy plans or details on PlanMarketplace.com knowing that you’re purchasing something that has been proven in previous builds and is a sure thing. We’re not just waiting around for contributors to send in their files. We are actively adding details on a daily basis, and working to encourage and incentivize our community to do the same. Search for any type of detail you need, and if we don’t have it, there’s a great money making opportunity for you once you’ve designed your own episode free passes solution. Submit your detail and help solve other people’s problems! What good is a massive library if you can’t find anything? We’ve spent a lot of time and money ensuring that our search and filter system is as intuitive and accurate as possible. Obviously, we have submissions from users, which opens the door to human error, but we carefully monitor our details and look for feedback to ensure that improperly labelled submissions are corrected promptly. The end result of this meticulous approach is a highly efficient system combining search and filters. Find what you’re looking for, fast! There’s no reason to delay, start searching our library of details today! If you find something you like, go ahead and try it. We’re committed to our buyer’s satisfaction, and will refund the full value your purchase within 7 days if you aren’t satisfied with your purchase. Click the Magnifying glass near our navigation to perform a search, or start by browsing through our categories!